This streaming box makes cutting cable less intimidating, but it's hurt by Sling's limitations. Provide enough advice to potential cord cutters, and you'll often find yourself saying "yes, but." Yes, you can stream most traditional TV channels without cable, but you're better off making sacrifices. Yes, you can still use DVR, but restrictions may apply. Yes, you can get broadcast networks for free with an antenna, but they'll be isolated from the rest of your streaming channels. But while the goal is admirable, Sling TV's own limitations drag down the execution. Figuring out what's on TV still takes too long--especially for broadcast channels--and a lack of DVR support leaves users short on things to watch. And without a proven commitment to routine updates, it's hard to say whether the product will improve over time. With AirTV's USB tuner and an antenna, over-the-air channels appear in the Sling TV app. The AirTV's remote control is similarly Sling-optimized, with a big blue Sling launch button on top, along with in-app shortcuts for the channel guide, previous channel, favorite channels, and program information. It also has an IR blaster and TV control buttons for power, volume, and mute. Clearly the goal was to retain some of cable's creature comforts without adding too much clutter. The AirTV gets much more interesting, though, when you add the USB TV tuner for $30 more (or sold separately for $40). Plug an over-the-air antenna into the tuner, plug the tuner into the AirTV, and you can watch free broadcast channels from inside the Sling TV app. The software automatically detects the USB tuner, then initiates a breezy setup process that scans for local channels. The version we reviewed includes the over-the-air TV antenna; AirTV costs $99.99 without that feature, but is less interesting. Having all your linear TV channels in one place is convenient, but AirTV doesn't go far enough in helping you sort through them. There's no grid-based channel guide, like you'd get from a cable box, and over-the-air channels don't show up in Sling's "On Now" menu, which lets you quickly browse across channels by genre. You can't even see what's airing on your list of favorite channels without tuning to each one individually. The whole approach just seems wildly inefficient compared to a cable box, and to other streaming bundles such as PlayStation Vue and DirecTV Now. The shortcut to your favorite channels would be more helpful if you could see what's on them. DVR is also a major omission, and a baffling one. On other Android TV devices, Sling TV already supports DVR through a public beta program, but that option doesn't appear on AirTV's version of the app. As for recording broadcast channels, AirTV told me it wants to enable this in the future, but didn't give a timeline. In the meantime, users can't even pause or rewind live broadcasts. 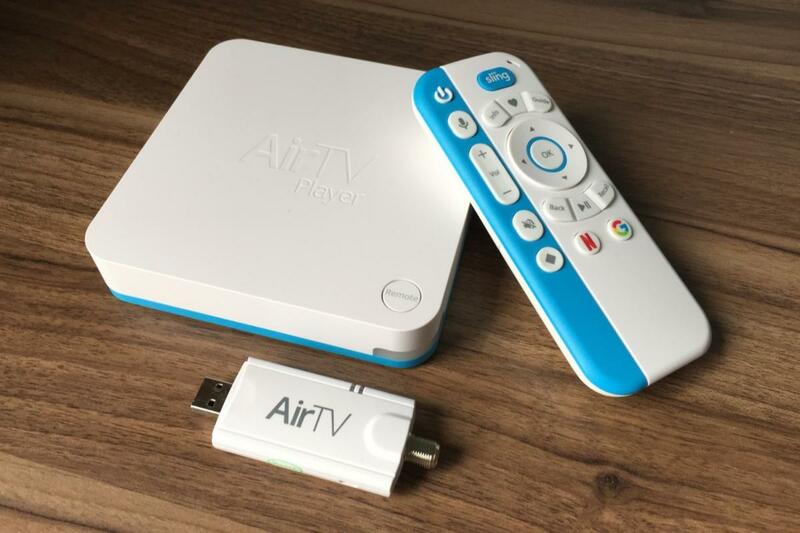 If you decide to stop using Sling TV, AirTV becomes another Android TV box. 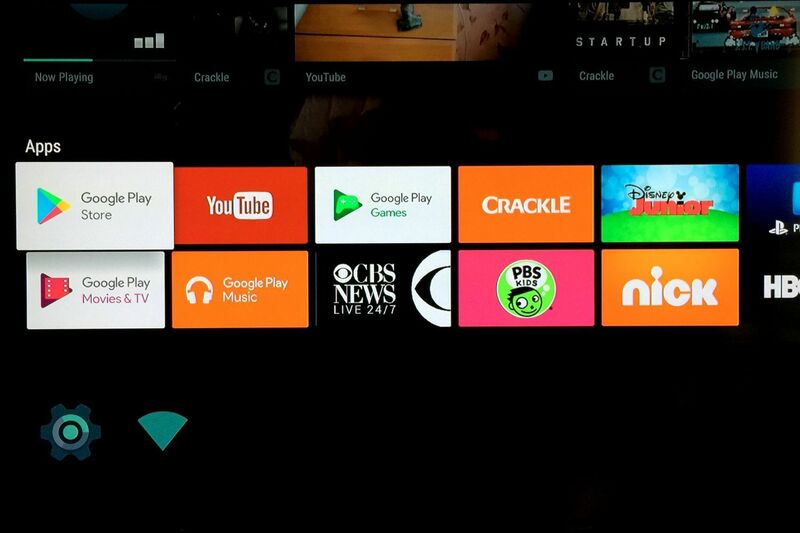 Pressing the remote's bottom-left button sends you to the Android home screen, where you can access YouTube, Google Play Movies & TV, and a slew of third-party apps from the Google Play Store (including Sling competitors such as PlayStation Vue). You can even go rogue from Sling by disabling the app in Android TV settings, which prevents it from loading on boot. 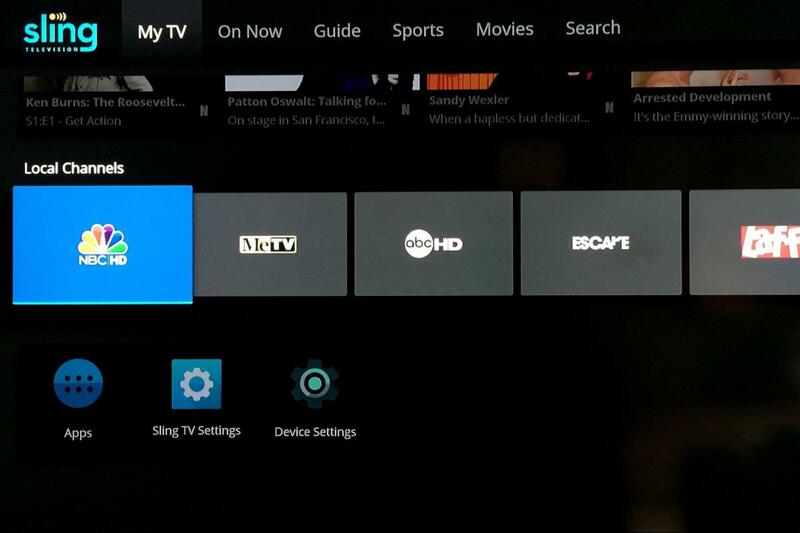 Beyond the Sling TV app lies plain old Android TV. Not that you'd want to buy an AirTV with these purposes in mind. The hardware, all clad in bright blue and white, is an eyesore--though it does make the remote control easier to find--and the internals are just average. Although AirTV doesn't publicize tech specs, a system analysis revealed a quad-core 1.2GHz Cortex A53 processor, 1GB of RAM, and 8GB of storage. That feels adequate for navigating the Sling TV guide and the Android TV interface, but the device sometimes lagged when loading Google's voice search. PlayStation Vue only runs at 30 frames per second (though that could be Sony's fault). And while the AirTV also supports 4K video playback, it doesn't support eye-popping 4K HDR. Around back, AirTV has two USB ports, optical audio output, HDMI, and Ethernet. The software situation is equally discouraging. Although Android 7.0 is more than eight months old, the AirTV ships with Android 6.0.1, which doesn't support picture-in-picture or fast app switching. And like most other Android TV devices, AirTV doesn't offer an app for Amazon Video. Those who want to tap Android TV's full potential should save up for the far superior Nvidia Shield TV. 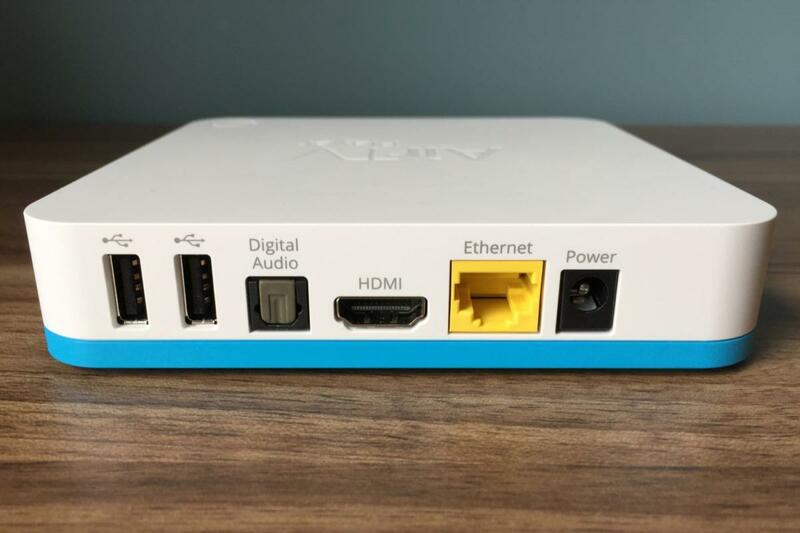 Of course, AirTV could update its software and add new features over time, but this is a product that shipped without the core antenna integration that it demonstrated to the press in January. That integration was delayed into late March in lieu of any notice or explanation for customers. Buying a product with the expectation of future improvements, like DVR support, would be foolish without a track record to go on. 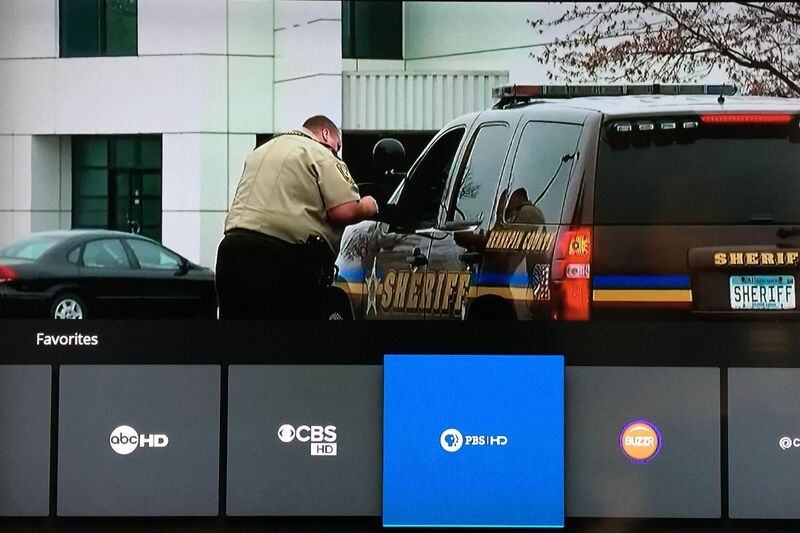 For now, users are better off relegating the antenna to a separate input, or buying a full-blown networked DVR solution such as Tablo or HDHomeRun with Plex. Those options aren't as seamless as what AirTV is offering, but they do free you to buy a better streaming box, like the Amazon Fire TV, Nvidia Shield TV, or Roku Streaming Stick. In the hierarchy of "yes, buts," you could do worse.